We’re into the third of the plan+do™ styles. Today is about the awesomeness of the Lister. We’ll discover what kind of planner works best for them + how to do their day in the most productive way. 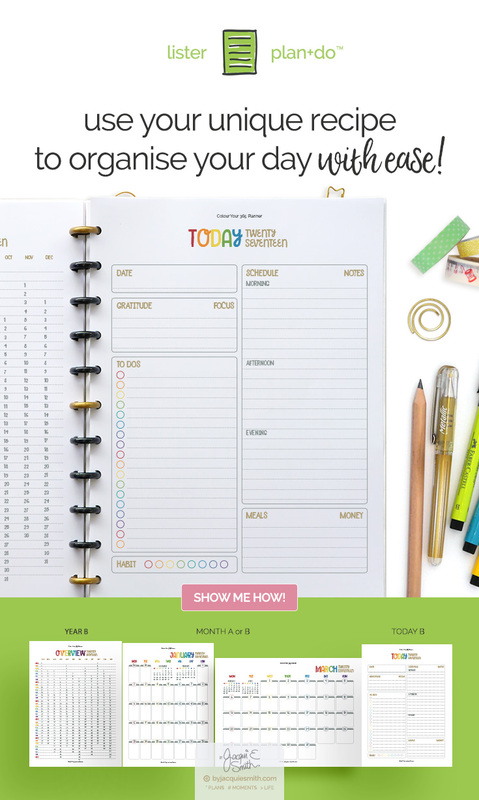 With your unique Lister plan+do™ style you can create a unique planner, one that works with you + organise your day with ease! There are 4 plan+do™ styles that I have discovered through my journey. By combining your personality + productivity style you essentially create a unique map for planning + doing your day. #Tip : You can read about the Creative + Expressive styles here. Using this style isn’t about being regimented, although many people who enjoy organising may find themselves within the Lister plan+do™ style. #Tip : Discover your plan+do™ style here. When I started using my ideal planner pages I couldn’t believe how much better my days worked out. I was no longer fighting with myself to keep to a system that just wasn’t me. I was able to bust out of the planning loop + actually get things done. The Lister can find that same planner freedom! But I’m getting ahead of myself. #Tip : Learn how to create your unique planner here. Let’s take a look at the Lister plan+do™ style to see how you can use your unique planner + organise your day with ease. You’re a natural wonder at planning things out. Detailed sequences are your thing. You easily track the details with your practical step by step approach. Listers love nothing better than to see a job done ahead of schedule. You’re ability to focus is admired by others. Often times you find yourself carefully reconsidering that all possibilities are accounted for. Juggling changes to still achieve the same quality outcome is all part of your magic. Because of your attention to detail + the way you like to go about your work, how you plan your day will look different too. When you can structure your day with a little buffer for the unexpected, you focus better. Give yourself the gift of finely tuned plan + the space to create a day that works with you. Like the Analyser, a planned day brings you peace + joy. Ideally you like to work with larger blocks of time for your projects + tasks. This allows you to plan for the unexpected + have time to think and reflect. Having specific task blocks in your day works great. You can match your work to your energy which helps to keep you from getting bored or distracted. Within these time blocks you can batch smaller tasks together to keep your project moving ahead. Perfect for taking care of those tiny yet important details. You don’t have to have your own business or a career to take advantage of time blocks + batching. They work great for the most important job in the world too, parenting! Now that’s what I call planner peace! Just like your day, your planner will look different too. To connect the people + pieces of your week you’ll enjoy using a single year + monthly pages for a quick glance. With a single today page for your time blocks + daily todo list, you’ll have the details you crave to focus on what matters. If you are coordinating a larger family or mixing personal + business together you may prefer a double monthly spread. To think + reflect you’ll benefit from additional space. Add some grid or note pages on the reverse side of your month pages and throughout your planner. Connect people + tasks with a weekly meeting. They are great for families too. Write down everything that needs your attention for the coming week. A side yet beneficial bonus is everyone else knowing what they are responsible for too. An easy way to sprinkle your intuitive magic. Even though you enjoy looking after + connecting with others, your mind can plan more ways to care others. Either the night before or early that morning list the things you need to do or people to connect with for the day. Check off your top three first + if you have time to spare after these are done you can check in with your daily todo list for what’s next. For when things pop into your mind you may like to have a master todo list. Even though you’d love to follow it up straight away, with it written down you don’t need to be concerned that you’ll forget about it later. As a Lister you enjoy using some coloured pens + maybe some washi tape in your planner. Colour coding schedules + tasks is half the planning fun! 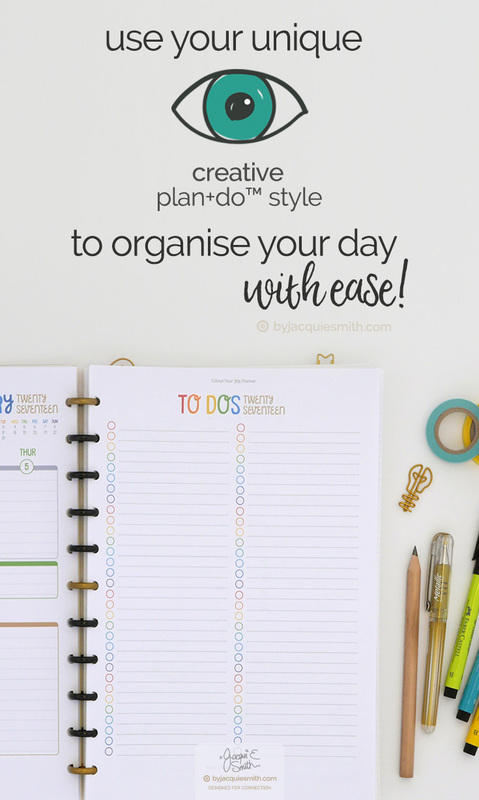 Now you know how to use the Lister plan+do™ style to create your unique planner + organise your day with ease. Visit the shop to purchase your unique Lister planner printables + get started today.